Do not try to do everything at the same time, that will make you dizzy and feel inconvenience, even more there will me a lot of stuff or things will be scattered, and obviously you will be overwhelmed with all the things that had to be packed. So, take at least 2 weeks before the day you will doing a relocation. Plan is a very important thing. 2. Start to Packed The Smallest Things. Get used to start pack of small ones first, and fragile. For example, a collection of small ceramics, your books collection, DVD collection and photo frames. Separates the item that maybe you still use up before relocation to avoid unpacked when you need it. 3. Contact a Relocation Service. Is it possible if you packed the cabinet, refrigerators, washing machines, bed, or even a table by yourself? That are big items that must so difficult to carried by yourself. That items can be the last thing you do with relocation service company or transport that provide relocation service. In order to not complicated yourself, make a note of items you want to take, check the list of every item that already packed. So, you can be sure that nothing is left behind or forgotten. 5. Sell or Discard Unimportant Stuff. 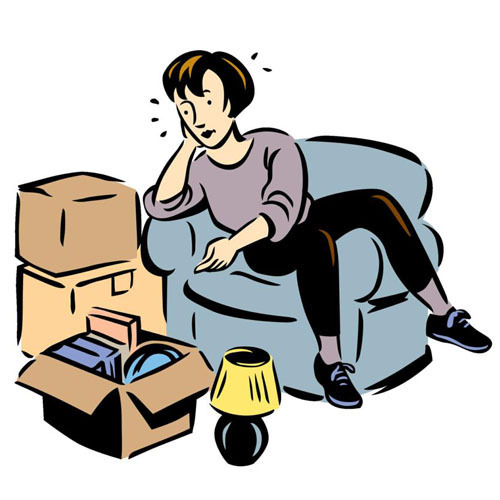 While you are packing your stuff, you will surely find items that you do not need anymore, or too troublesome. Do not make it hard, sell it. Sell it to your neighbors, associate, or relatives. It will save your packing time, reduce the cost, and can be the fund.